Inventory management can be a costly and daunting task for many organizations. The ultimate goal of inventory management should be to get the right product to the right place with minimal expense and effort. This can be a difficult task, especially for MRO, or Maintenance,Repair and Operations, which is the goods and services that keep a facility running. These products would include items such as repair components, lubricants, lighting fixtures, safety supplies, janitorial products and other consumables that are not directly tied to the core products. In many organizations, MRO inventory accounts for a significant amount of the annual procurement budget, but is still not managed with the level of thoroughness typically applied to production inventory. Taking the time to manage MRO inventory effectively can lead to cost reductions and savings. Three best practices to consider when developing a plan to manage MRO inventory are shown below. 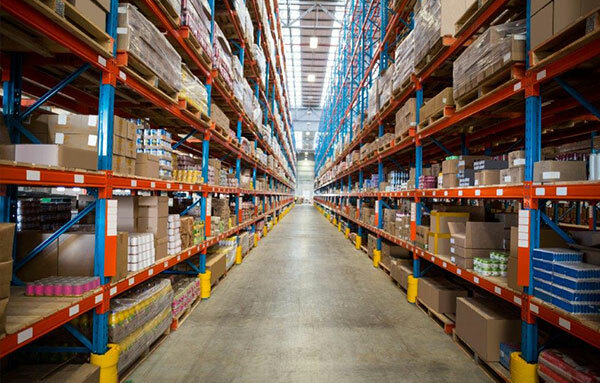 The first step is to identify a central location for MRO inventory. Storing MRO supplies in one central location per facility instead of having multiple unidentified locations will increase overall efficiency. Additionally, it is important to utilize computer systems to track, manage and control inventory. Utilizing usage data and transaction costs can help an organization right-size their MRO inventory in accordance with the supply chain performance standards. Vendor-Management Inventory (VMI), is an approach where the supplier is onsite managing the MRO inventory. This would allow the staff to focus on their core functions, with the assurance that the MRO inventory is being managed properly by the supplier. This may bring in additional saving opportunities, as the supplier will have greater visibility of downstream demand and may be able to offer additional volume discounts. The VMI approach can also reduce paperwork and the number of transactions on the customer side since the customer is paying for the material as it is used. The invoicing process can then be scheduled on a weekly or monthly basis to streamline the payable process to reduce overall transaction costs. As with any management of an operation, key performance indicators (KPIs) should be established in order to measure key factors such as savings, costs, and obsolescence in an MRO project. It is important to measure how effective the organizations MRO inventory management is so that upper management can not only understand the progress, but to see its benefits. A few measures to consider might include the number of stock outs, days or months of on-hand inventory and the ratio of rush orders to replenishment orders. These measures should be tracked and posted in order to ensure those responsible can see their performance and are in a position to act to improve performance as needed. Utilizing these three best practices for managing MRO inventory will help reduce cost and bring in greater efficiency. Many organizations are currently expensing MRO materials at the time of purchase, meaning that they are accountable for what they buy and not what is typically used. The actual consumption of MRO materials is typically less than the anticipated demand, which means that companies are spending more than what it needed on MRO materials. Ultimately the effort to implement an effective MRO inventory management systems is worth the return.